A 15 year veteran of the pest control industry, Will Show How You Can Get Rid of Cockroaches In Your Home Without Spending An Arm And A Leg With Your Local Pest Control Company At A Price You Can Afford. Guaranteed! So you can't go wrong. It will guide you every step of the way. Anyone can do it if they know how. Thats what I am here for. To tell you how. This report is delivered to you to instantly download in the popular PDF format. You don't need much money You can do this for a fraction of what your local pest control company will charge you. You don't have to be an expert This is so simple anyone can do it. You don't have to spend a ton on chemicals Forget about all those sprays you have been buying. Most of them are not any good anyway. "My husband has over 30 years of pest control experience and is president of our state pest control association. He said "Whoever wrote this definitely knows how to treat cockroaches." "I thank you for creating this e-book. I had the basic tools, but I did not have the knowledge on how to use them correctly until I read your e-book. Thank you for your hard work!" "I'm enjoying your book now! I found your book short & easy to read. I live in an apartment, and had seen 4 or so Oriental roaches (guess they were, I took a few nymphs to an entomologist). I was concerned about infestation, and since the apartment management isn't having their pest guy here until April, I wanted to take some action. In an apartment building, who knows when someone will bring some in. Thanks for your information--those of us who can't bear living with roaches really appreciate it." "The population has greatly reduced. We are still on top of it. It was a rental apartment I had, that was attached to my house, that was infested so I was really grossed out to find them. Anyway we now only see one or two now and then. When we started they were everywhere....and hundreds of babies running around. I think we finally have a handle on it.....thank you soooooo much...as I don't have a lot of money and had to do this on my own." "I just want to tell you I've been "working the program" and seeing or, NOT seeing, critters as much as I did. WOW and thank you! Things have slowed WAY down. I'm seeing more "bodies" than running to play critters. I will do some more "dusting" though as well as gel...I LOVE this! Wish I had heard about you when I first moved in here. "Tim, I just wanted to say thank you for your manual and your follow up emails. I must admit I was a bit skeptical when I purchased the manual but it was the best $7 I have spent. I completely rid my house of roaches (I think we brought them in via some used furniture we bought). "I am so glad I got your guide. Probably saved me hundreds. And most of all, gave us peace of mind! We knew that if we let them keep breeding, we'd have a real problem on our hands. I have not seen any since!! "Thank you for your emails I have received them all. It has been about two to three weeks and I have not see any cockroaches around. Your report was very helpful and without it I know things would have been a lot worse. "I think it is going really well thanks to your informative guide. I had only seen a few German roaches in the kitchen a couple of males and one female, but since I have followed your guide, I have not seen another one!! It is amazing but true! Thank you so much for taking the time to be of a huge help to those out there that really need it and will take the time to follow through. Thank you so much once again!! "I have only seen 2 roaches since the last treatment and they were both under the dishwasher and both were on their back dying when I saw them. So I think they are almost completely gone if that is possible! Thanks again for all your help! And also, for the free report! $7 puts the report within reach of the vast majority of people. It's not too expensive for even the humblest of people. Anyone who's not serious enough about getting rid of cockroaches in their home to invest $7 into this report isn't going to take the time to use the methods laid out in the report anyway. 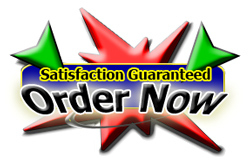 So if you are serious about getting rid of cockroaches in your home, click the Order Now graphic below. If you need to justify the expense, skip going to McDonald's for dinner once this week and it's paid for. 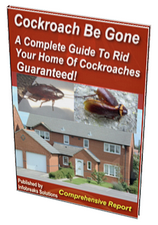 Don't forget about our 100% 'Better-Than-Risk-Free' Guarantee If, after purchasing "Cockroach Be Gone" at any time 60 days after your purchase and you don't believe it is everything I say it is, if you aren't positively thrilled with your results potential it has for you, or if you're dissatisfied in any way simply ask for you money back and you'll get a 100% money back refund. That means you get 60 days - if you ever do want a refund at anytime within this 60 days - it's on its way - no hassles and no silly questionnaires to complete - period!